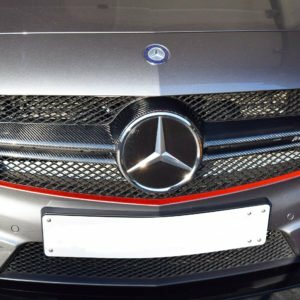 If you’re after a stealthier look, this grille is definitely the way forward. 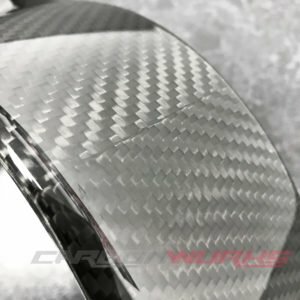 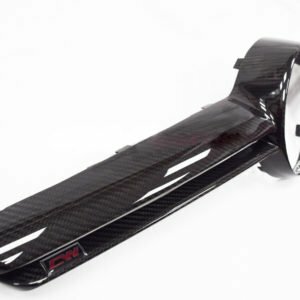 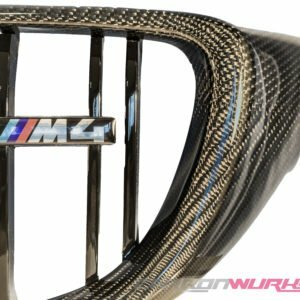 The BMW M3/M4 Carbon Fibre Kidney Grilles are a direct replacement for the original BMW part, giving a sharp and striking carbon weave that really pops in the sunlight along with Gloss Black grille slates. 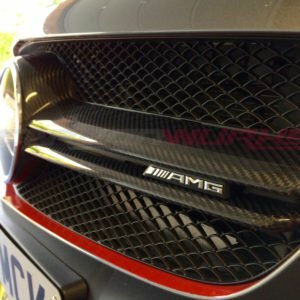 If you’re after a stealthier look, this grille is definitely the way forward. 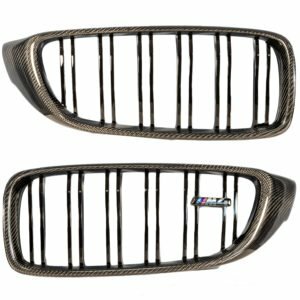 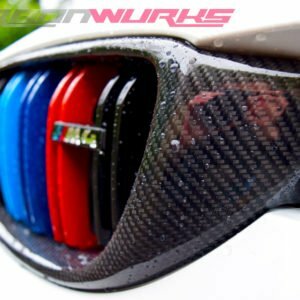 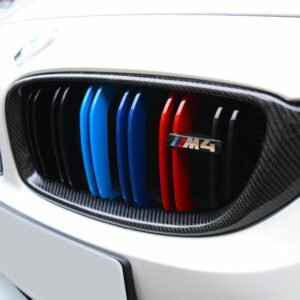 The Carbon Fibre Tri-Colour Kidney Grilles are a direct replacement for the original BMW part, giving a sharp and striking carbon weave that really pops in the sunlight along with BMW’s M Power colours.